I admit it, I got it wrong. I wasn’t getting that excited by the Olympics. The Olympic Torch Relay did get me going a bit, even when Stuntboy announced he needed a wee at the crucial moment. I had even taken a bit of a British media attitude that it was going to all go wrong somehow, and we would end up looking like right narners. We didn’t have a good day with the Korean flag fiasco in the woman’s football, and I suspected that may be the first of many things that didn’t quite go to plan. We’d all end up showing just how great the British are at apologising for everything. Team GB actually won the qualifying. I will now hold my hands up and admit that it was a wonderful experience, and one to remember for a lifetime; which is what its all about, isn’t it? We choose to apply for the Gymnastics because both our kids actually do it. They love doing it. So we thought it would mean a little bit more to them to see the best in the world doing it too. And hopefully loving it was well. We were right. They were both entranced by the whole session. The little information videos that the organisers showed in between the rotations made it all the more real to them. 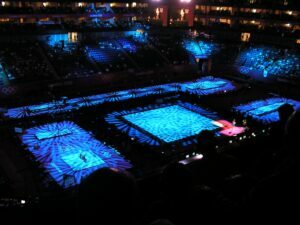 We did our best, but I have to admit that though I watch Gymnastics on TV, I have never been to an event before so am I little ignorant on the finer points. Now, the kids know what a Flare on the Pommel actually is. The Olympics is all about legacy, and I suspect that both my two children will continue to be interested in gymnastics because of what they saw this week. And I am sure that Mr. Coe would be happy with that. They went to their gym class today; and it was all the more exciting because their teacher KNOWS Louis Smith, and he won a Bronze medal; the Silver cruelly snatched away from him and his team-mates. Though it was wonderfully refreshing to see that Louis Smith, Kristian Thomas (Mr Strong as Stuntboy calls him), Sam Oldham, Max Whitlock, and Daniel Purvis were just happy to have done as well as they did. There was no talk of disappointment. I am actually rather surprised that I managed to have a proper conversation with him myself given his connections. The kids were hanging off his every word. Hopefully, Stuntboy might actually stop bouncing all the time and start listening. He’s going up to the big class after the summer with his sister, so he better had otherwise perhaps he’ll set Louis on to him! We are lucky enough to be going to further events later this week; to the Basketball and the VolleyBall. And this time, we can’t wait, and we are ALL VERY excited. Wow, it sounds amazing! I’m very jealous! How fantastic that your kids can relate to it so well. Great post, thanks for sharing your experiences. Glad you liked it, Sarah. 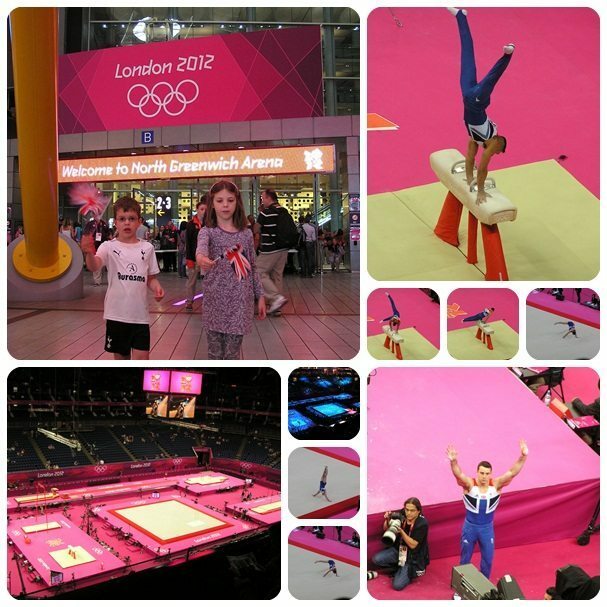 We definitely got the bug – son just blubbed again coz Beth Tweddle didn’t win a gold! Hi again! You did comment, it landed in my Spam and I just pulled it out again :-) Hope ur still enjoying the Olympics, its fever pitch in our house! How dare it send me to the spam folder??? We started the Olympics with a rather grand lack of excitement but the swimming soon got us going and we have been really enjoying them. Feel free to pinch my post for the Britmums blog, I actually thought I had commented on the post about your Working Mums endeavours for Britmums with that link but it may not have gone through. Thank you!